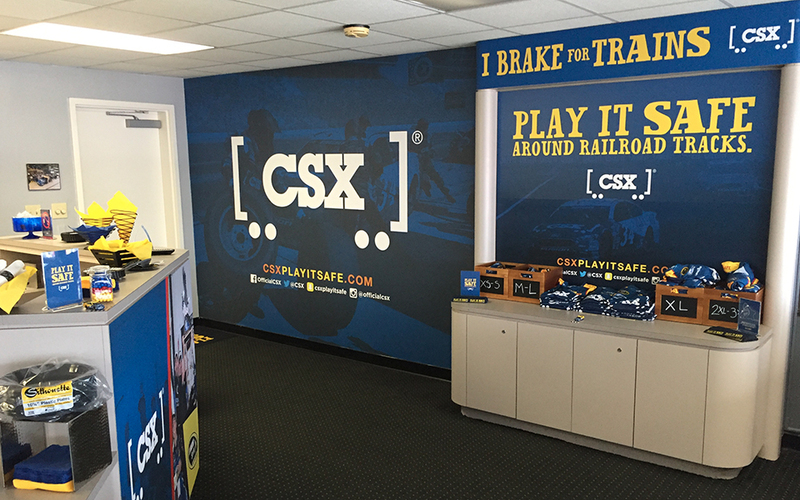 a major client of exit10, csx transportation turned to us to lead up its railroad safety program. 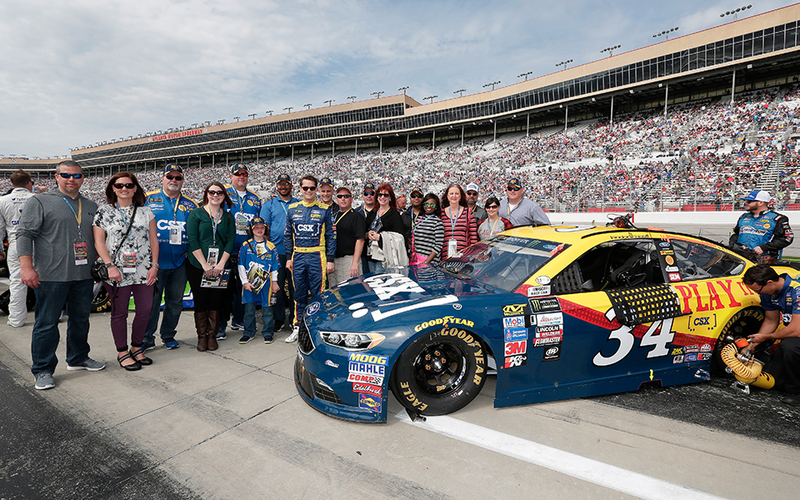 a large component of this was a nascar sponsorship with front row motorsports, successful due in large part to a major demographic crossover between those at risk around railroads and nascar fans. 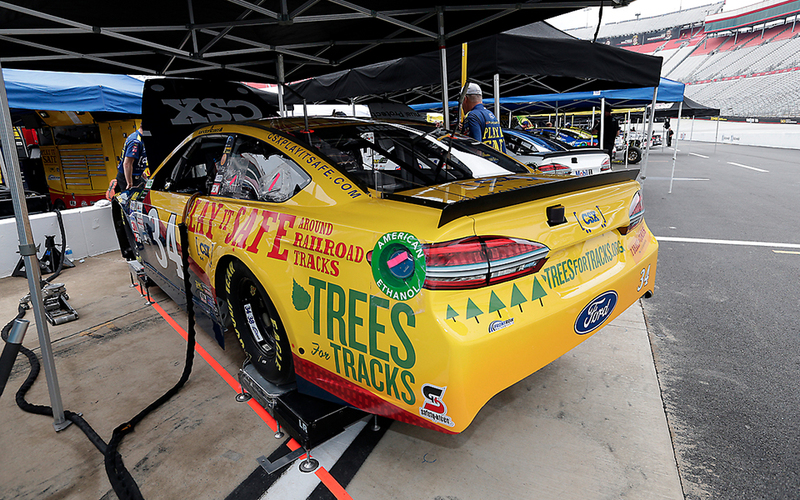 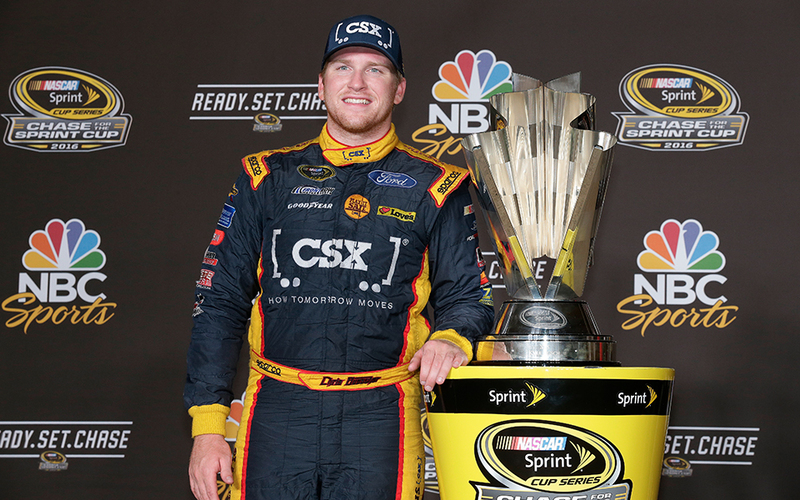 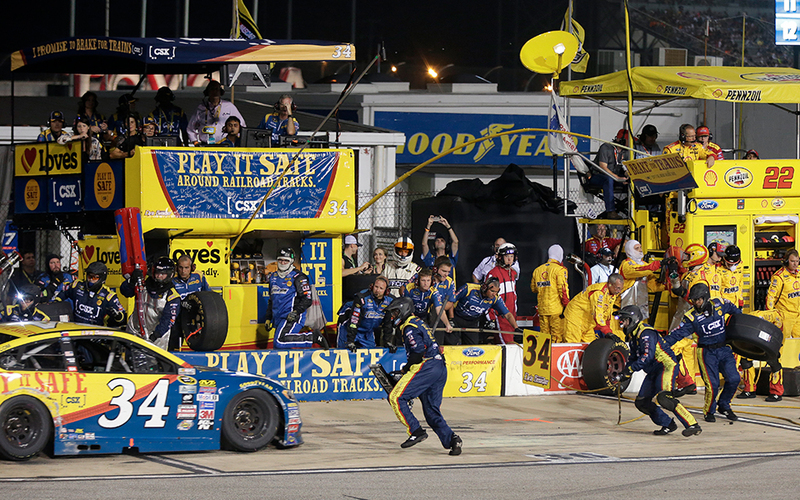 exit10 led the efforts of the csx nascar program through history (including a playoff appearance with chris buescher in 2016). 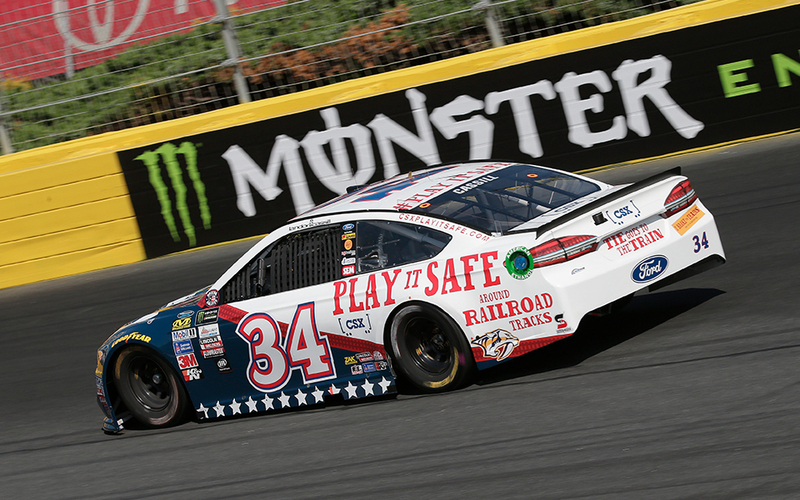 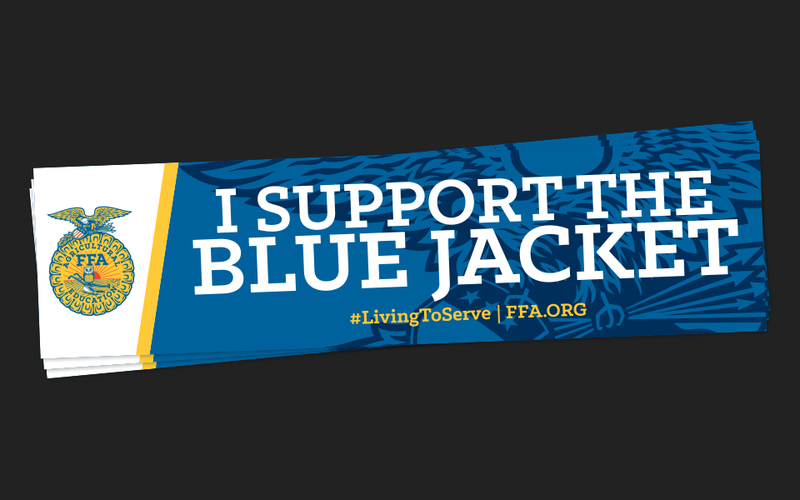 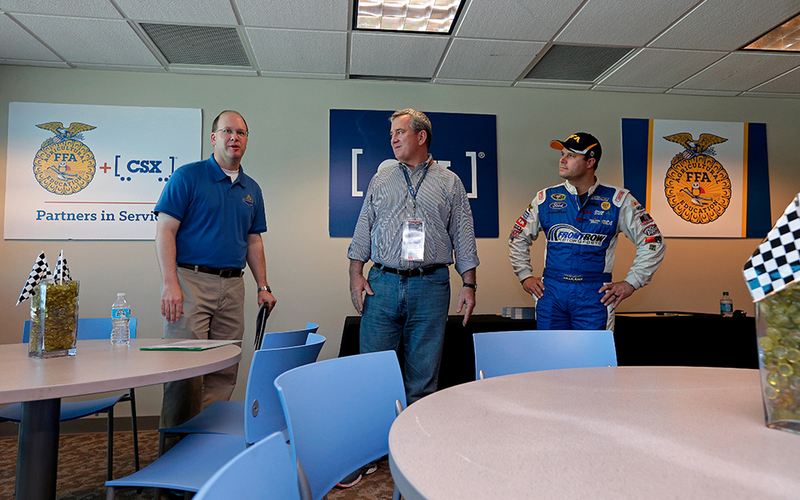 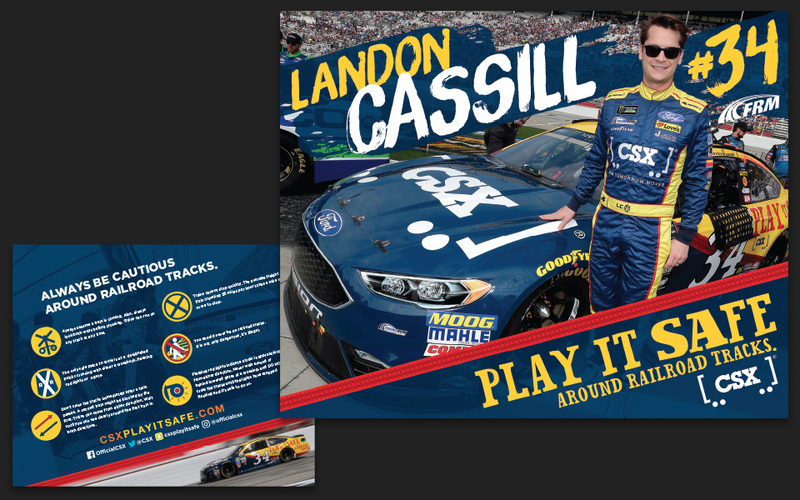 we produced pit signage, suite decorations, hero cards, and other needs for the program, including one-off paint schemes for memorial day races and enviornmental programs. 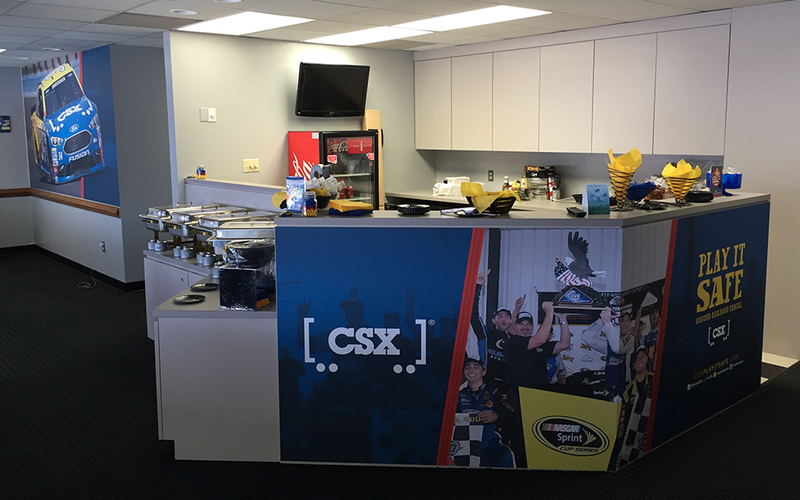 i was also part of the hospitality team tending to guests of the company during csx race weekends [exit10, 2014-17]. 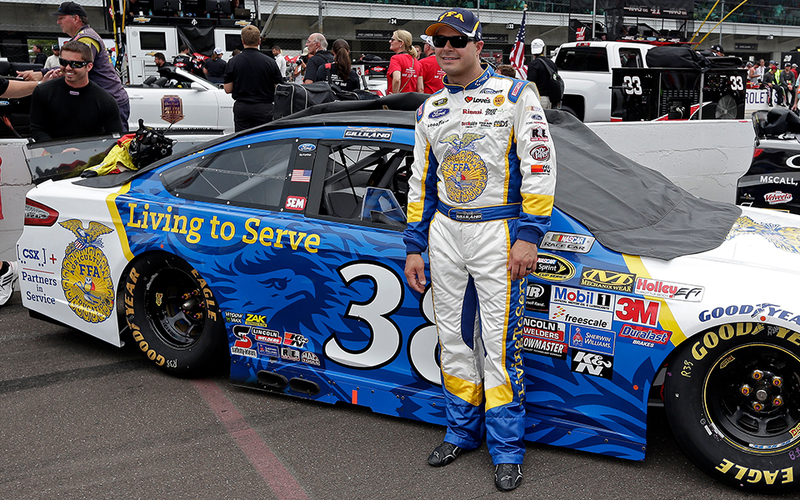 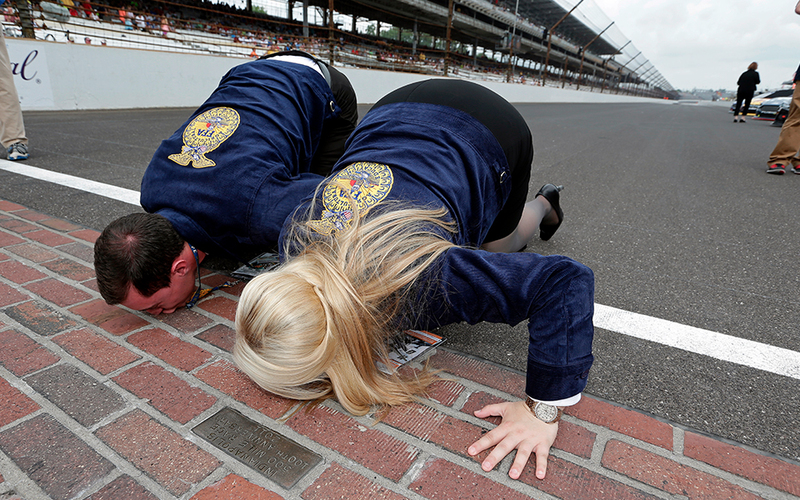 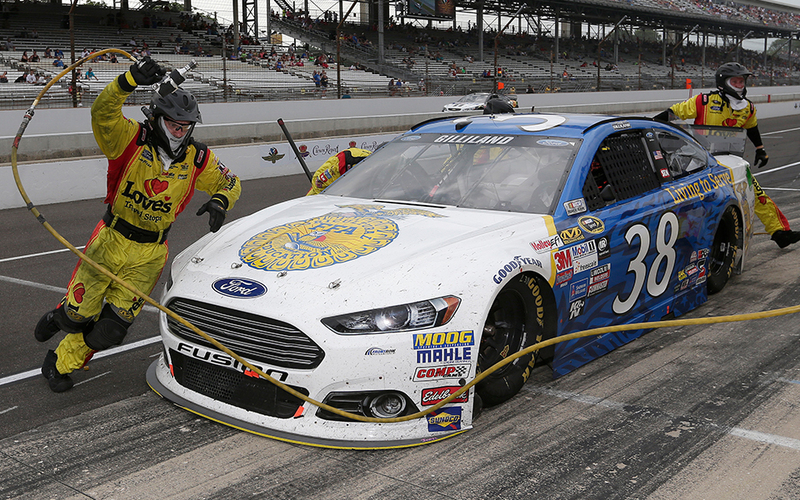 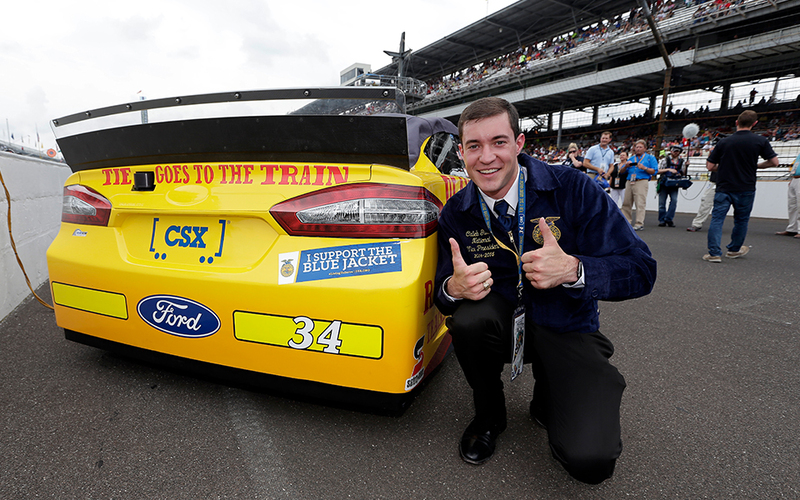 at the 2015 brickyard 400 in indianapolis, csx ran a ffa-branded paint scheme honoring their partnership, in addition to the usual #34 csx ford. 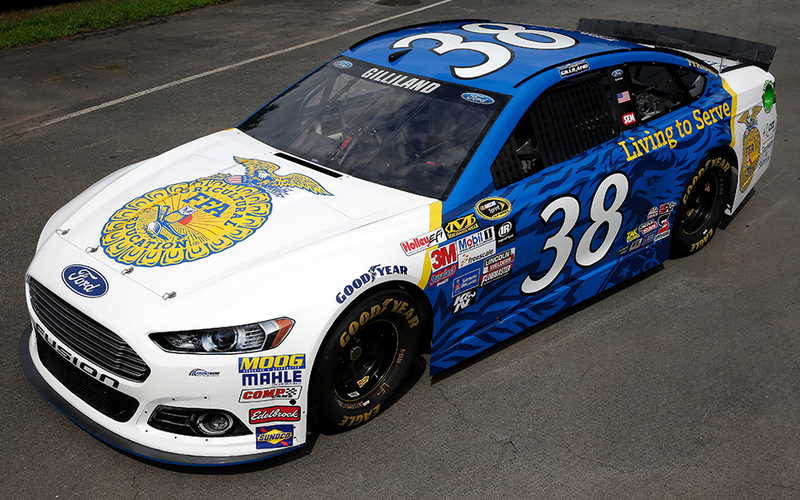 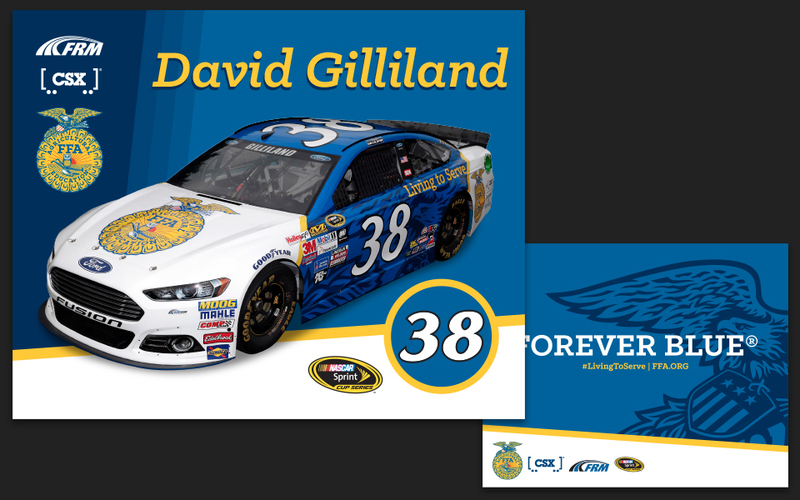 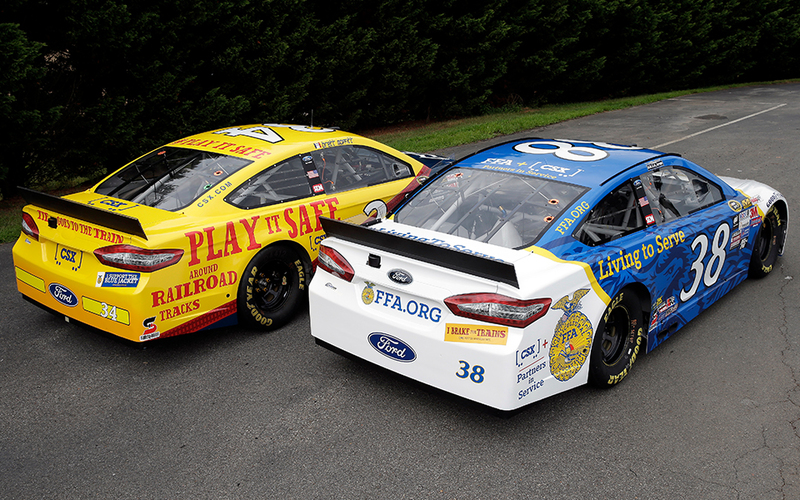 we designed the full livery for the #38 ffa ford and firesuit of driver david gilliland, along with other signage and promotional materials for at-track guests [exit10, 2015]. 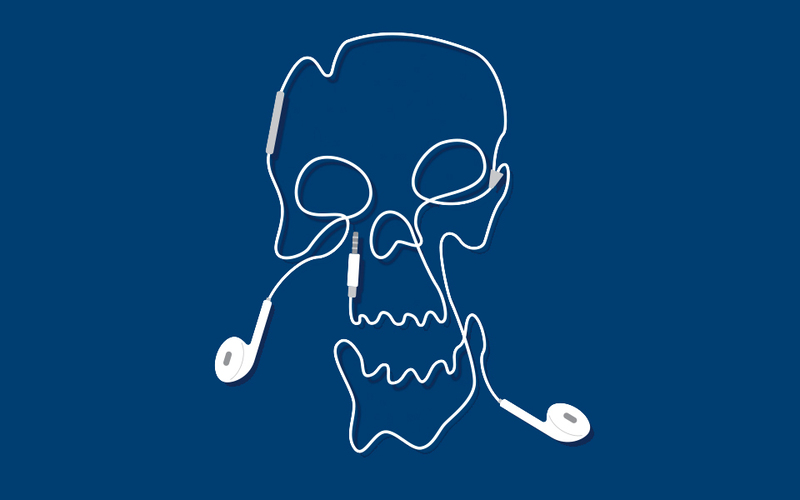 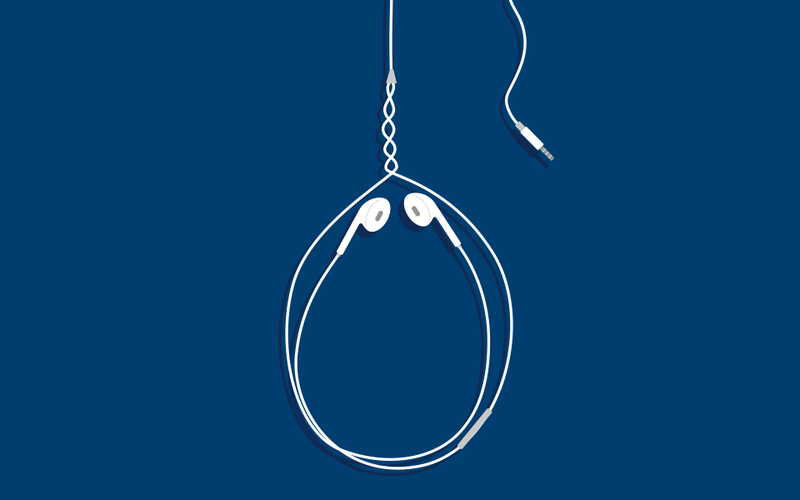 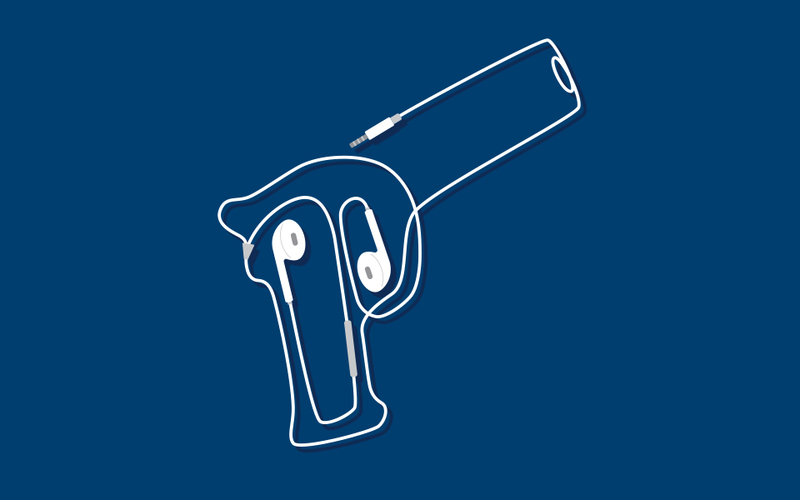 poster illustrations for a safety campaign aiming to keep people from wearing earbuds around railroad tracks. 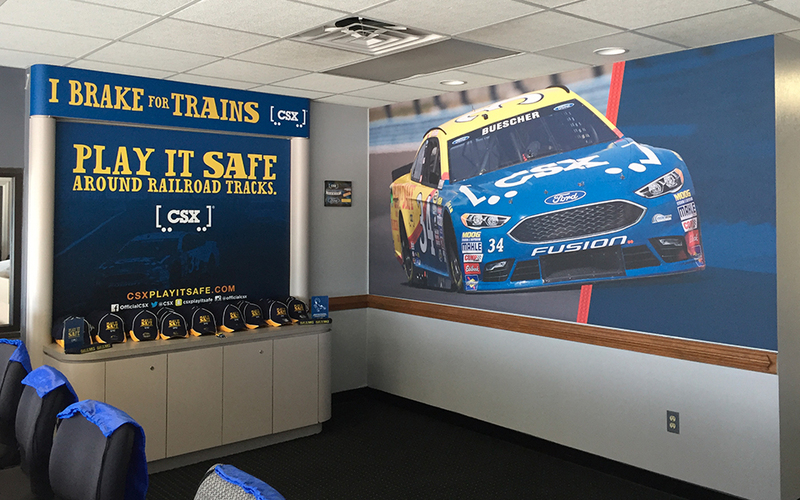 ultimately went unused in favor of tamer imagery [exit10, 2016].